The International Standards and Patents in Renewable Energy platform or Inspire helps users to trace 400 standards and more than 2 million patents. Inspire is product of collaboration between Irena, the European Patent Office (EPO) and the International Electrotechnical Commission (IEC). It explains what standards are, how they can be used and why they are important for quality assurance, investor confidence and technology trading. The patents section houses the world’s most comprehensive global patent database for carbon mitigation technologies, the EPO’s PATSTAT (Patent Statistical Database), which contains nearly two million patent documents, an Irena statement said. The combination of resources on Inspire will help users analyse various aspects of renewable energy policy and innovation. 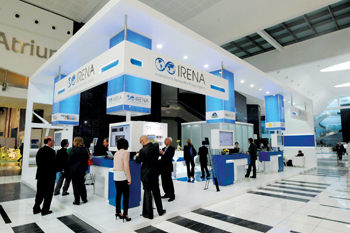 It can help indicate the effectiveness of policies to promote renewable energy innovation through the analysis of trends in patent activity, Irena said. “Users can also perform metadata analysis of technology trends, comparing development within, or between, different technologies. For example, the number of patents filed for renewable energy technology has increased annually by more than 20 per cent in recent years, while the average increase for other technologies is around 6 per cent,” it said. The agency’s global headquarters is located in Masdar City, Abu Dhabi. The headquarters building is an exceptional large-scale mixed-use structure with 32,000 sq m of commercial office space. Rooftop PV panels generate more than 340,000 kWh per year. As a strategic and prestigious business address, it will be home to anchor tenants from large global corporations to small and medium enterprises.